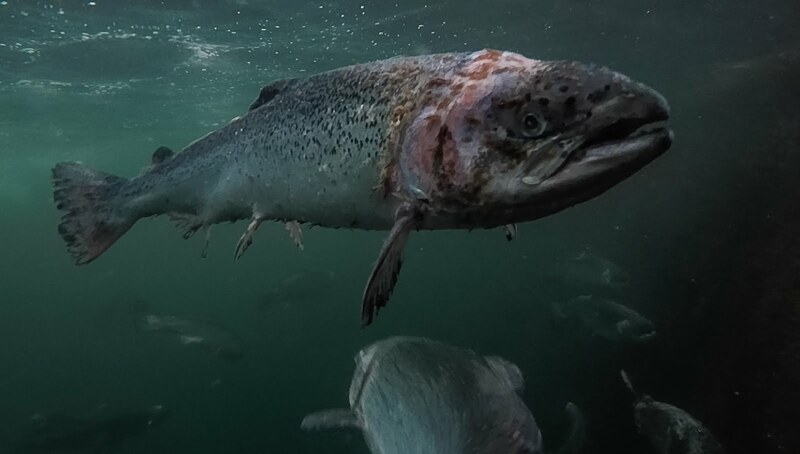 Over 83,000 salmon escaped from a giant fish cage during a stormy night in Donegal back in 2010, but concern has been expressed about a lack the lack of measures being put in place to monitor the fish farm industry. The incident occurred on the night of November 11th/12th 2010 at the Marine Harvest fish farm in Inver Bay off the south Donegal coast. Subsequently the Department of Agriculture, Fisheries and Food’s Engineering Division and the Marine Institute carried out an investigation. But the environmental lobby group, Friends of the Irish Environment, claims that lessons have not been learned. The investigation found that the storm on the night was ranked as the 5th worst storm in terms of gust wind speed and duration (combined) off the Donegal coast during the period 2003 – 2011, based on marine buoy data available. A copy of the report has been seen by Donegal Now. However, the report on the investigation stated that the storm was not to the extent that there should have been any structural failure on the fish cage. The main cause of the escape of fish was linked with mooring ropes on the cage that had failed. All the fish in the cage escaped into the open sea. Certification and inspection issues were also raised in the investigation. In conclusion, Mr. Paul O’Sullivan, of the Department’s Engineering Division, made two recommendations: namely, a call for a sufficiently frequent moorings inspection system and to consider introducing a requirement for the certification of the ropes. Now, a new report from Friends of the Irish Environment has raised questions about the structures in place to monitor salmon farms. A copy of the report - on Marine Fish Farm Inspections covering the period 2012 – 2014 - has been sent to Agriculture Minister Simon Coveney and socialist TD Clare Daly has tabled a parliamentary question on the matter which is due for a reply after the Dáil reconvenes on June 9th.